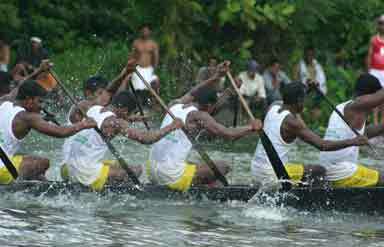 A spectacular event at Punnamada in Alappuzha, Nehru Trophy Boat Race is the most colourful boat race in the God's own country. Boats of varying sizes compete in various events in the boat race. Watching the huge boats darting through the blue backwaters creates a spectacular scene. It became a regular event after Jawaharlal Nehru's visit to Alappuzha. He was very impressed with the event that he donated a Silver Trophy. 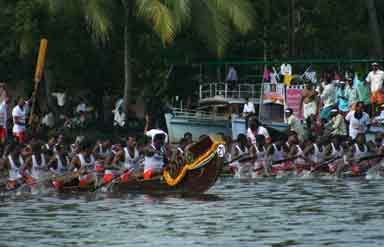 This is an annual event held at the Punnamada Lake in Alleppey, Kerala on the second Saturday of August. Gaining fame worldwide, Nehru Trophy Boat Race was held in the honour of visit of Pandit Jawaharlal Nehru. The first Prime Minister of India visited Alappuzha for the first time in 1952. The water festival offers unique sights to the onlookers. 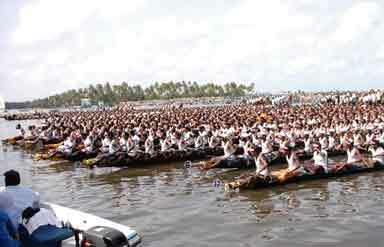 A large number of participants in a racing boat signifies its uniqueness. The synchronized method of rowing boats is a spectacle to behold. The challenging boat competition thrills the beholders and inspires them with wonderful awe with the fun and festivity it brings. 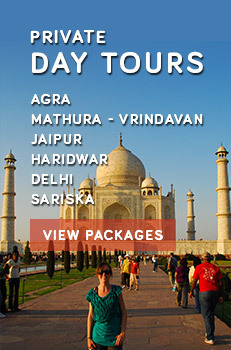 A Silver Trophy is given to the winner of this thrilling competition. The trophy is a mimeo of a snake boat positioned on a wooden abacus. It has the words “To the winner of the boat race which is a unique feature of community life in Travancore – Cochin” inscribed on it. 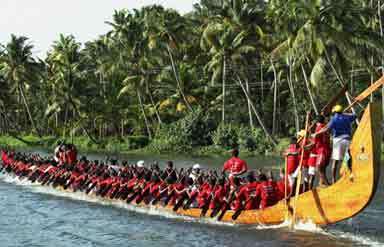 Behold the water extravaganza of Kerala with Nehru Trophy Boat Race!